Scholastic/Career Ambition: Political Science and Public Policy, MA/Ph.D. Accomplishments: Helped register over 800 college students to vote; Organized a gender equity week with over 700 attendants; Implemented a Woman to Woman Networking Program; Appointed by Department Chair as the introductory speaker for U.S. Senator Claire McCaskill and women’s activist, Lily Ledbetter; Won the 2013 “Miss Laura Culp Pageant” raising over $3,000 for eating disorder awareness and scholarships; Presenter at the American Democracy Project National Convention; State Champion in Broadcasting; State Champion and Top 3 National Finalist for Future Business Leaders of America Impromptu Speaking; National Qualifier for Duet Acting. Interesting Facts: Nickname is “Miss Thrifty”; Born with an asymmetrical rib cage; Drive a 15-year-old minivan; Taught Bernie, my Bassett Hound, to sing. Employment: Graduate Teaching Assistant at University of Kansas; Formerly worked as a public relations consultant, academic consultant, legislative aide, campus-wide tutor, office assistant and undergraduate teaching assistant. How has the world you come from shaped your dreams and aspirations? : After living in poverty until I was in middle school, losing my father when I was 17, and working four jobs to graduate college, I personally understand rising above circumstances with the help of strong female mentorship. As an educator and aspiring professor, I am able to educate women and “engage to empower” them to find their inner strength for triumph against life’s obstacles. I am also able to influence men to understand the importance of valuing and supporting women. Of all the ways you could succeed in your life, why have you chosen to succeed in the Miss America Competition? : I am someone with a defined purpose and goal of empowering women to take leadership positions, gain valuable education, and believe in themselves. The Miss America Organization is the perfect partner for my action plan as it enables women of any background or circumstance to serve others. This organization gives me the opportunity to grow as a strong, influential woman with a voice to impact the lives of women and men everywhere. What social issue, other than your platform, will have the greatest impact on your generation and why? : With less than 20% of Congress consisting of women and less than 25% of state and local offices held by women, the U.S. is lacking in the voices needed to represent the needs of over half the population. Through empowering and engaging women to take leadership roles and gain self-confidence, more women can become leaders of this generation and generations to come. 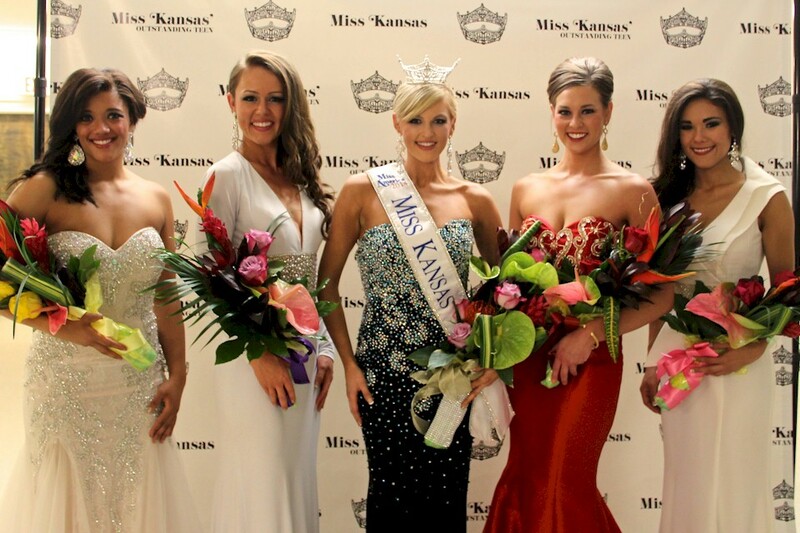 This marks the first of many projects I will have as Amanda Sasek, Miss Kansas 2014! My national platform for Miss America is Find Your Strength: Engage to Empower. My platform work inspires women to overcome obstacles and pursue their dreams by educating women about helpful resources, encouraging women to support women’s organizations, and challenging women to build mentoring networks. My first big social media project for this effort is my Women of Kansas: Engaged and Empowered. Every day for the month of August I will interview inspirational women leaders of all different ages. These women will share their stories, advice, resources, to help inspire women across the world. I’ll also post inspiring quotes from these women. All interviews will be utilized for my women’s empowerment playbook which will be full of advice and tips for women! Please visit my website at www.findyourstrength.webs.com to learn more. Visit my "Blogs" tab to view my daily interviews for my Women of Kansas Project!